News and current events for the world of online casinos. Until recently the state of Mississippi has generally avoided the topic of online gaming. However, due to a downward trend in the brick and mortar casino market, the state now appears willing to study the online gaming industry. Reports indicate that revenues have been steadily declining in several regions. 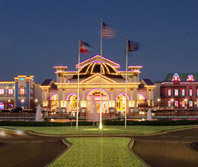 Since last month’s closure of Harrah’s casino in Tunica the state casinos are bringing in less money and has created a cloud over the industry as a whole. Prior to closing Harrah’s was a very popular gambling destination that attracted many players to the area. Unfortunately an increase in competition from two of Arkansas’ racetracks have also had a negative impact on the market so that alone was not enough for them to be able to keep their doors open. The casino’s closure cost the state gaming revenue and resulted in the loss of many jobs. Last month, the Mississippi Gaming Commission published numbers demonstrating that in 22 of the past 24 months, state casinos have generated less gaming revenue when compared to the previous year. When comparing May 2014 to May 2013 there was a 10.6% drop in revenue statewide. Based on the early results of online gaming revenues being generated in New Jersey, Nevada, and Delaware, Mississippi is turning an eye to online gaming. The state has commissioned a task force to conduct a study to show if and how online gaming could aid their struggling casino industry. The task force has been sanctioned by Richard Bennett, the Mississippi House Gaming Committee chairman. The team he’s assembled will be comprised of eight individual. They will be examining online gaming in the United States and evaluating the pros and cons of the current iGaming providers. Executive Director of the Mississippi Gaming Commission, Allen Godfrey, has been assigned the role of chairman of this task force. State representative, Bobby Moak, has made efforts to introduce online gaming legislation in Mississippi for the past three years. But each time the bill is brought before the committee it is defeated. The piece of legislation proposed each year by Moak was the same. It involved regulating and licensing online gaming and taxing revenues generated. Licenses for online gaming would be awarded to companies that already hold state sanctioned gaming licenses for land-based casino operations. Moak believes that the legislation of online gaming will allow Mississippi’s land-based gaming industry to take control of their future and give the state the opportunity to regulate a facet of the industry that already existed, albeit illegally. With all of the current issues facing brick and mortar casinos Mississippi can’t afford to be left behind when it comes to online gaming. Only time will tell what will come of the study and whether or not it will provide the necessary motivation for state legislators to make a move and finally try to take their share of the United States online gambling market. Last fall, when Sheldon Adelson first began waging his war against legalized online gambling within the United States many people found his stance confusing and profoundly misguided. After all, with the exception of Sheldon Adelson, the gambling industry unilaterally supported the notion of gambling being extended to include Internet-based gaming. Adelson’s position in this matter was is further confounded due to the fact that it comes from a man who amassed a substantial fortune from land-based gambling operations. Surprisingly, just 6 months later, Sheldon Adelson has managed to make serious inroads in blocking the legalization of gambling. In late 2013, supporters of online gambling made considerable headway with states such as New Jersey, Nevada and Delaware offering regulated Internet gambling within their borders. It was expected that the huge revenues and tax income generated post-launch would serve as a massive incentive for other states to follow suit. However, by June, efforts in California and other key states stalled and although Sheldon Adelson is no closer to bringing about a federal ban on online gambling, they have similarly failed in creating a regulatory plan for online gambling on a federal level. Sheldon Adelson has wasted no time capitalizing on his momentum. According to the Wall Street Journal, Sheldon Adelson has been successful in persuading the casino industry’s most influential lobbying group, the American Gaming Association (AMA), to cease supporting efforts to regulate online gambling. Prior to this, the AGA’s actively supported online gambling from as early as March 2010. This support created a major rift among the most important members of the group. Insiders suggested the change not only curtailed the AGA’s impact in Washington, but also negatively impacted plans to support regulation of online gambling at a state level. 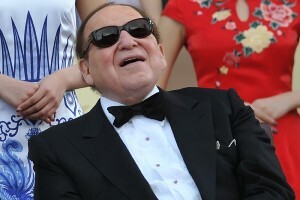 Sheldon Adelson has also enlisted other prominent casino operators like Steve Wynn and former politicians like George Pataki to lend their support to his cause. Recently he has enlisted the support of Democrat and former mayor of San Francisco, Willie Brown to oppose online gambling in California. It doesn’t help matters when the casino revenues being generated in New Jersey have fallen substantially below expectations. This disappointing fact will potentially discourage other states from embracing online gambling as a means to solving budget concerns. In April, New Jersey revenues dropped to $11.4M, a far cry from the $180M predicted by Governor of New Jersey, Chris Christie. What’s the reason behind this great disparity? According to the president of France’s Internet gambling regulator, Charles, Coppolani, “The fad is over.” The advancement of regulated online gambling in California also seems to be lagging due to competition with tribal casinos, many of which have opposing interests. While Adelson isn’t entirely responsible for the recent setbacks, he has managed to turn the tables to a certain degree. He’s put online gambling proponents on the defence and has been a catalyst for increased public debate on the key issues associated with online gambling such as underage gambling, cheating and addiction (all of which are factors that apply equally to the land-based casino he operates). Even investors seems to have lost their enthusiasm. Caesars Acquisition Company, a subsidiary of Caesars Entertainment, has experienced a 26% drop in stock since March, trading at $12.08.